I review a book, somebody reviews a book for me. Pretty darn good trade I’d say! Read on for a bit on the review done for Human Nature over at “Love on the Bookshelf”. This book had me at post-apocalyptic. I admit, I’m a sucker for post-apocalyptic stories whether they’re books, movies, or just a good yarn. Now, Human Nature didn’t have Kevin Costner, but it was still a really good story. Dawn Vincent, aka the Doctor, is one of a handful of people left on Earth that survived an alien attack. (I know! There are aliens!) Most of the aliens have left, deeming Earth unworthy of their attention, but they left a few stragglers that are causing trouble. You know, like killing and eating the humans. And not necessarily in that order. more confident in herself and her skills – both as a doctor and as a leader. And, an unexpected love grows between Dawn and ________. Well, I can’t give it away, can I? Or click on the image to read the book itself! Either because of my testicles or because I’m just that way, I avoid romances. They seem to only be possible when incredibly stupid people are the characters. The main character in A Previous Engagement (a clever title, by the way), fits the category perfectly. I thought the male paramour did as well until I was most of the way through the book. Then I realized he wasn’t suffering from a series of major concussion, he was just overly sentimental and emotional for a man. Definitely not a man’s man, but perhaps he fits with the modern metrosexual kind of guy that’s become so popular. I prefer the 80’s action movie hero kind of guy. Or The Duke. One other thing bothered me – the book leaves the impression that it’s unfavorable for a woman to have a successful career. The main character strives to do so, but she’s not complete without a partner and family in her life. I find that a flawed lesson. Why should a person be required to have a family to be complete? That’s the bad, here comes the good. The book was very well written. The main character amused me time and again (when she wasn’t aggravating me by being oblivious), thanks to the author’s skill with putting words together. I faintly remember one chapter starting with a sentence that was too long and made no sense, but I was able to move past it easily and find no other flaws. Coming from another writer, that’s a major success. I read the book in a matter of hours, another feather in Stephanie’s hat. I abhor the genre yet she kept me reading. I wanted to reach in and strangle the characters because they seemed to be inexplicably stupid from the very beginning, but still I read on. I say ‘inexplicably stupid’ but that does not mean they are without precedent. Virtually any romance movie available or even some distant relatives of mine have displayed similar or near exact levels of ignorance and dumbassery. So yes, I thought they were dumb but it’s a dumb that I’ve seen many times before in fiction and in fact. You can find Stephanie’s book here: A Previous Engagement. Simmer down, nobody’s jumping. In fact, the ledge isn’t what you think it is. It’s a geological formation that, for the life of me, I didn’t expect to see within a hundred miles of me. I grew up in Michigan about fifteen – twenty miles from a place called Grand Ledge. Contained within Grand Ledge, along the Grand River, was a natural formation of rocks called the Ledges. Great to hike amongst and climb on. Great beginner climbing opportunities. Vacationed in various places with bigger and better rocks – mostly near Marquette, Michigan. So, naturally, I climbed em. Hey, I was a boy. Still am, I just don’t get up as quick when I fall down. Northern Michigan at any time of the year is beautiful. Harsh in the winter, but no less beautiful. Climbing in the winter, incidentally, is a bad idea. As is hiking too late in the evening and having the sun go down on you while you’ve still got two hours through nearly pitch black woods with very scant trails to follow. Not that I know anyone that’s happened to…. So from Michigan I moved to southeastern Utah. Moab, to be precise. 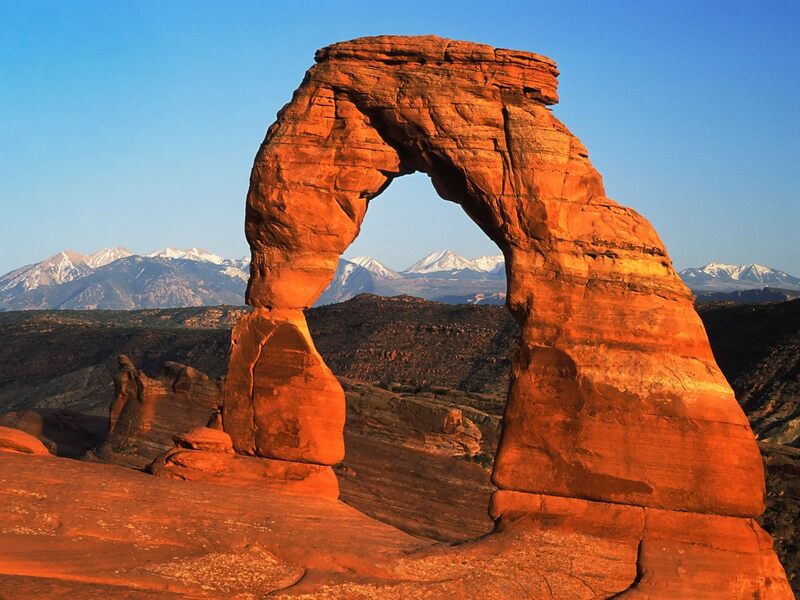 Moab, a place visited by people from all over the world for its hiking and climbing opportunities. It’s another absolutely beautiful place. Most of Utah is, with northern Utah reminding me of Michigan UP. There are many things I can say about my time spent out there but of them not a one is a complaint as to the scenery. Next we moved to eastern Ohio. What’s Ohio got for me? Lots of civilization and a good job until the writing thing takes off enough to take over. At this rate it’ll end up being something for my retirement. Regardless, Ohio is considered, by me, to be a flat and geographically boring state. Sure, a couple of decent rivers, and some good hills in the southeastern portion of it, but that’s about it. My wife heard of a place called Nelson Ledges from a friend of hers. We looked it up and decided to risk it. We went there today and I was all but blown away by it. Nothing too tall, although we did find one cross in a fenced off area where someone had slipped and fallen to their death. A couple of smaller waterfalls and a lot of niches, crevices and caves. We tromped around there, occasionally having to carry and assist our kids through the more difficult spots, for a few hours. All in all, it was a blast. I was reminded of a cross between Utah, with the ledges and crevices, and Michigan Upper Peninsula with the greenery and pleasant temperatures. A perfect blend, in my opinion. We plan on heading back again and doing more exploring. The moral of the story was to not judge a book by its cover. Sure it Ohio and sure it’s flat like the chest of a thirteen year old boy, but it’s got some hidden surprises if you look hard enough. Am I Smarter than a Kindegartner? This is a short but highly amusing story from just last night. I arrived home and was engulfed in the usual excited banter from young kids happy to see me. Surviving that, we soon moved on to dinner (whole wheat spaghetti, for those curious). During dinner my daughter, who’s five years old, asked if I knew something that one of her classmates had said in school that day. Also if I knew it was that classmates birthday. Not to be outdone, I asked her if she knew about neutrino’s being measured at CERN during a three year study that showed them arriving 60 nanoseconds quicker than the speed of light allowed. She claimed that yes, she did know that, then went on to share some other bit of fascinating trivia with me. I felt like was having a Jerry Maguire moment. I’m pretty sure my daughter confirmed that yes, she knew that too.